The New York Times has revealed that after undergoing heart surgery in 2010, Cheney had “a prolonged, vivid dream that he was living in an Italian villa, pacing the stone paths to get coffee and newspapers.” Naturally, a bunch of shrinks and analysts have jumped in to analyze the former Vice President's dream and get quoted in major media. I have two comments. First, it would be great if Cheney had had this dream when he was first in office. Second, it would have been splendid had he then acted on the dream by retiring and leaving the country. I have to wonder what Cheney was dreaming when he was in office, and going through more surgical procedures than Darth Vader. Did he ever listen to his dreams? Did he compare what he wanted to believe about Iraq (for example) with dream material that might have been showing something very different from what his favored analysts were telling him, with the spontaneous objectivity of dreams. Did he listen to dreams about his heart, and dreams that might have revealed what the heart, instead of the ravening ego and its power-centered agendas, was saying? 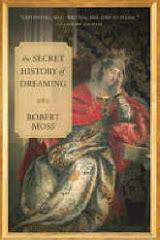 Dreams are a corrective to waking delusions, as Dostoyevsky so memorably showed us in "Crime and Punishment". Plutarch, the great ancient philosopher and biographer who inspired several of Shakespeare's historical plays, demonstrated the same thing, writing of dreams of ancient tyrants that spoke as the voice of conscience, warning them to correct their ways. We are all in trouble when our leaders don't listen to their dreams. In Plutarch's telling, ancient tyrants who spurned their dreams ended badly, some to be carried off, after death, to Hecate's recess, a very dark hollow in a very bad neighborhood in the astral realm of the Moon. A venerable teacher is going to speak to an advanced circle, including myself, on trump XV of the Tarot: the Devil. He explains that the Devil card is missing from the deck. I open a locked inner section of a cabinet, turning a key in a drop-down door. I keep my personal Tarot in this secret place. I want to offer the teacher the fifteenth trump from my own deck to illustrate his talk. My “deck” is a beautiful hand-crafted book whose covers open on leather hinges. The cards in this deck are intricate black-and- white drawings, with some patches of color. I remember the Devil in this deck as an elegant figure in a hooded red robe. No horns or chains.He looks like a handsome Renaissance prince, seated in a walled garden. The background is black and white. The intricate architecture of the design reminds me of the drawings in the Dream of Polyphilo. I leaf through the book to find the Devil. The cards are held within the pages by little corner pockets like those you might find in an old-fashioned photo album. The Devil card is missing. I check again. It is definitely gone. With a start, I realize that the teacher must have been speaking of my deck. The teacher will give his talk on the fifteenth trump, with or without the card. I traveled back inside the dream, to hunt the Devil. I found him riding a black horse through a field of grain. I followed him into a church or cathedral. He was utterly at home here. He suggested that it is he who is worshipped in many churches, under different names. The library room from the dream took on great solidity. The table with the huge books revealed carved dark legs, and a carved bookstand that seemed to be fixed to the table-top. Some of the books on the table are chained because if they are not kept under restraint they may go flying off by themselves. The cabinet of polished wood with the locked compartment where I found my Tarot deck also contains glasses and goblets. The key to the lock is gold and resembles the Vatican keys. I study the people in the library room. Some of the women are familiar; there are men I do not recognize. The teacher is wearing a fine pleated purple robe, with a soft Renaissance hat. I do not see his features clearly, but I have the sense he is my older or wiser self. I know now that the Devil who is out of the deck is a prince of the church. He is often on the loose! No Devil in a hand-painted Tarot deck has survived. This is one of the four cards missing from the Visconti-Sforza “wedding deck” (the others are the Tower, the three of swords and the Prince of Coins). This is an "old" report, which appears (with the little sketch) in a hand-written journal entry dated December 8, 2001. I am planning to offer new classes in "Tarot for Dreamers" in 2012, so I am especially interested in how I have been dreaming Tarot since I was a teen. A piece of sky has fallen to earth. The piece in question is a panel from an outdoor stage setup at the lake house in my local park, that was being dismantled when I walked the dog this morning. I felt I had been dealt a living Tarot card from the world. My mind went to the traditional Iroquois teaching that we must "remember the sky" in order not to fall into the Dark Times in our lives or our world. Tohsa sasa nikonh'ren, as they say in Mohawk. "Do not let your mind fall." Meaning: don't let your mind fall from the knowledge of Earth-in-the-Sky, the world-beyond-the-world that holds the origin and meaning of the human adventure here below, on the Turtle's back. I write about all of this in Dreamways of the Iroquois. Reflecting on these things, I walked home under light rain, and found another Tarot card from the world. On the sidewalk on my own block, two cages were being offered for sale. The handwritten notice began: "AIRLINE APPROVED. $25." You could pick a rigid or a collapsible cage. I know, I know, from one point of view they are just crates for animal transportation that someone no longer wants, maybe because they not longer have pets, or are not planning to move again. But a larger symbolism stirred me. Forget the sky, forget the bigger story, fall to earth and forget what you came here, and sooner or later you'll find yourself in a cage, perhaps one conveniently prefabricated and supplied at a good price by others. In a big dream reported in Active Dreaming, the Lion told me: "Humans are the only animals that choose to live in cages." Interesting, what the world gives us to play with on any day, if we are open to the dreamlike play of symbols in everyday life. Baudelaire was right: we are walking in a forest of living symbols that are looking at us. "On Monday I told a good friend that I had seen three Thunderbird classic cars within two days. This struck me as curious. She remembered that just before the Haiti earthquake I saw a big Thunderbird in a dream that left me shaken. After that earthquake struck, I felt the Thunderbird was my way of seeing it in advance. "On Tuesday, I started to feel that my dream symbology was shifting into regular life. As I drove near my home, a green classic convertible Thunderbird met me at the intersection. I rolled down my window to tell the adorable grey haired couple in the front seat that I loved their car. "I came home to the news of the Virginia quake. And the hurricane.Coincidence? "Wait. As I write this, I think I'm feeling a small quake right hear at home. [Pause] Yep. 3.6 on the Richter scale. Nothing for where I live, but it's right on the Hayward fault, which is ready to blow. Dang... The Thunderbird god is busy". We have different ways of knowing things, and I am much in favor of collecting practical omens, ones that prove to be reliable indicators of what a day may bring. Seems like my California friend has developed a seismic sensor that may work better than seismology generally offers, since we are rarely told in advance when an earthquake will hit. I am having a grand time demonstrating how it is possible to step in and out of the bodies and life situations of doubles on parallel event tracks, and how this can be used for healing and mutual empowerment. For this demonstration, I have chosen doubles from my present lifetime, alternate Roberts who made different choices. All times are accessible. I jump into situations that belong both to a parallel past, a parallel present, and a possible future, but the time in each scene is always Now. I can make choices in all these situations. In the place of an alternate Robert, for example, I choose to behave generously, avoiding blame and shame, in an incident involving a former partner after the time when (in ordinary reality) we had separated. My demonstration is in the service of teaching others how to do these things, at a workshop that has become a very exciting group experiment. I allow the group to watch my moves, which look to them as if I am stepping in and out of sliding doors. We proceed to develop a simple new model of doubling and travel between parallel universes. Reality: Several much more detailed dream reports from the past week seemed to involve jumps of this kind, into the situation of doubles on alternate event tracks. I found two of these experiences, involving former partners, to be very healing and resolving - beautiful, really - and woke from them energized and happy. I have crafted and led a number of group experiments in visiting doubles in parallel universes, and I am interested in developing a model of understanding that will bring together current speculation in physics (where is is now widely hypothesized that we are living in one of possibly infinite parallel universes) with the experience of dreamers, who go to parallel worlds (by my experience and observation) most nights. Follow-up: When I got online after this dream, I found an announcement for the English translation of a book by French physicist Jean-Pierre Garnier Malet. 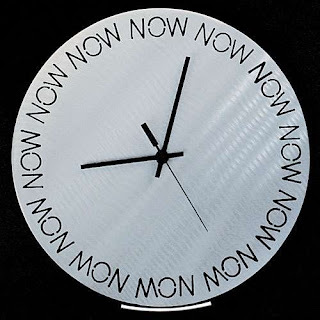 He has developed a "theory of doubling" In his Théorie du dédoublement, Garnier Malet suggests that the "doubling" of time and space is a "law of physics" that offers us "temporal openings" - opportunities to step in and out of time and by so doing, change our possible future for the better. These opportunities are enhanced when we become conscious of the existence of our doubles and draw on their superior knowledge. I learned about Garnier-Malet's work when I was teaching in France in November 2010, and picked up French-language copies of a couple of his books. In Le double... comment ça marche? Garnier Malet urges us to learn to "drink time", as a thirsty animal drinks from a stream. He explains that this means "drinking information from the past and the future during sleep. Dreams are there to allow us to do this. Haven't you noticed that dreams put us in a different kind of time?." I think I am in favor of drinking time, maybe even ready for a binge. A man is with me in my writing cave. He wants me to help him fit a book he has written into my computer. I am reluctant - I have so much to do, and he wants me to do this on my computer? I know I could do what he asks, though the operation is anything but a routine data transfer. It involves taking a whole life-size, embodied energy and transferring it into the computer. This life-size energy may be the whole form of my visitor, who appears as a shadowy figure in a long flapping coat, his features indistinct in the grainy dark. While considering his request, I tune into the reminiscences of a group of middle-aged women. they are talking on a terrace overlooking a lake. On this side, it's a very orderly lake with manicured borders. It may be one of those man-made lakes created for expensive developments and gated communities. But on the far side of the lake, things are wild. There are islands over there, and wild men, and the ladies are giggling a little as they recall adventures that had with the wild men when they were quite young. I need to understand what was going on with my male visitor, who wants me to put his story into my computer. I'm lucid now, and want to converse with him, but it seems he has moved on, at least for now. I have the impression of two images he has left with me. They remind me of Tarot cards, except that they are three times as long, in proportion to their width, as any card from a deck. One shows a series of fire triangles, making a high column. The colors are mostly reds and oranges, with sparks coming of the edges. The other card depicts what looks like a crescent beach in the moonlight. This "beach" card is a window; as I look at it I see that the whole scene is alive and watch the waves rolling in. Feelings: Intrigued, slightly disappointed I was slow to grasp what might be going on with my visitor. Reality: I am ready to consider new book projects, having completed another non-fiction book this week. I am open to new ideas and new characters (for fiction). I recently had the experience - leading a group journey - of realizing that books, too, have souls. Was my caller the soul of a possible book? Or a parallel self who has actually written the book, in a parallel world? Now that would be an interesting writing partner! Question: What is going on with the male visitor who wants me to transfer his story to my computer? What can I learn from the women? What is the significance of the "calling cards"? Action: Draw the calling cards. Done (see above). Further action: have a go at writing narrative in a new first-person voice (of someone other than my present self). I am intrigued by tales in which we find a universe inside a very small space, such as the space between subatomic particles. These give us a window into what physics is telling us about the nature of hidden dimensions, and they provide a context of understanding for dreams and visions in which we experience these realities directly. In the vast Yogavasistha the sage Vasistha entertains and instructs the despondent Rama with a series of tales that include his first-hand account of his travel to and from a world of beauty and magic that he created in subatomic space. At a certain time in his life, the sage recalled, he wished to leave the “busy world” behind and live in a quiet place “free from all imaginings, where I would be invisible to everyone.” Through “yoga and imagination” he created a little hut in a “far-distant corner of the space of emptiness” and lived there unmoving, in the lotus posture, meditating. A century passed in a flash. In my meditation I saw the thousands of universes that are nested one within another, even inside the smallest atom of a stone. He surfaced from meditation and heard the beautiful voice of a woman. He searched for her. “I went into the space of my mind and saw countless worlds, all unable to see one another.” After many years, he heard the sound of a lute, and followed to a beautiful young woman singing sweetly. She was a celestial magician [vidyadhari]. Vasistha wanted to know how she came to be here. She told him her home was inside a tiny atom of a stone in a peak of the mountain called Lokaloka (World-Not-World) “which encircles the disks of the worlds on the outer rim of the universe”. She was the wife of an ascetic scholar who created her from his imagination but never consummated their marriage, because he was wholly given to his studies and meditation. As “the most beautiful woman in the world” she was frustrated. She flew to the sage to seek release for both of them. In the world inside the stone, Vasistha met its creator. The creator opened his eyes and told him: “As you are to me, so I am to you; this is a mutual story. For a man who is dreaming becomes a man in another man’s dream.” The beautiful woman created an illusory world out of her own desires; now it would end. He withdrew his mind from external images, and the world collapsed in fire and flood, into stillness. Everywhere I looked, in every single atom of it, I saw a whole universe. Each of these worlds was different from the other; some had a few resemblances, some more, some no resemblance at all. Some were made entirely of rock, some of water, some of air. In one of them I saw Rama killing Ravana, and in another I saw Rama being defeated by Ravana. Then I understood that all of these worlds were the ideas of various people. Each person imagines his own world, and that becomes his world. He went back to meditation in his hut in the corner of emptiness. His body was gone. In its place was a magician [siddha] seated in meditation. Vasistha decided to stop imagining this place. As his mind fell “from the sky to the earth” the magician dropped from the hut that had ceased to exist, still in meditation, falling like a stone. Vasistha roused him with some difficulty, using rain and thunder and hail. They swapped life stories, become friends, and agreed to live together in a world of the magicians where each eventually found a congenial home. Much to dream and reflect on here! We see how worlds are made by imagination and how what is conceived in the imagination takes on its own life. Vasistha creates a beautiful woman in a trance, and then she comes to him when he has emerged from his trance. It seems that others can live in our self-created worlds. While some mental worlds ceased to exist when we cease to imagine them, others continue. The people we dream are dreaming about us. We have interesting doubles in the multiverse. The incredibly large can be found within the incredibly small. Parallel worlds coexist at every level of the cosmos. Source: Yogavasistha 6.2.56-94. There is an elegant summary in Wendy Doniger O’Flaherty's Dreams, Illusion and Other Realities.